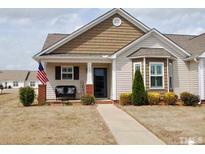 Find Clayton, NC Condos for sale. View Photos, Maps and MLS Data Now! Photos are of a model home. MLS#2250230. 2983. Photos are of a model home. MLS#2250224. 2983. Photos are of a model home. MLS#2249805. 2983. Perfect for rental or first time home buyer! Come see it today! 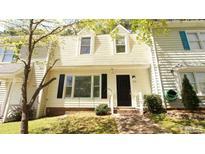 MLS#2249270. 347. Join the Fireplace club for access to pools, sauna, café, tennis courts and more MLS#2248553. 2983. Refrigerator conveys but ice dispenser does not work. Fenced back yard MLS#2248371. 982. 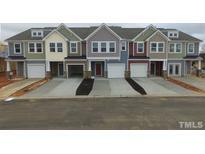 Moss Creek Village - The storage building out back is included! ! MLS#2247318. 3612. Flowers Plantation - This home should be ready in July/August. MLS#2246510. 2983. Flowers Plantation - Still time to select colors and make upgrades. MLS#2246488. 2983. You’ll find ample space w/ a large master suite & grand dining room perfect for special gatherings. MLS#2246355. 1197. With three bedrooms & two baths, this home is perfect for hosting guests, corralling children, or claiming an office all to yourself! MLS#2246352. 1197. Fall in love with your maintenance free yard and outdoor amenities that include a community garden & pond! MLS#2246360. 1197. Willowbrook - This is a dream come true for the lucky buyer. MLS#2242439. 1709. 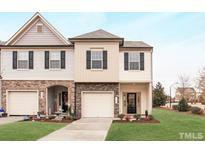 Cottonfield Village - A home like this will not last long--come check it out! MLS#2245058. 297. Close to shopping, restaurants and entertainment. MLS#2244423. 4542. Qualifies USDA, at this price will not last long on the market . MLS#2244381. 4883. Riverwood Athletic Club - Enjoy all of the Riverwood amenities as well!! Welcome home! MLS#2244107. 4025. This home is a must see. Great Location! MLS#2240484. 988. Get ready to entertain on the large covered porch. Amenities include pools, gyms & golf! MLS#2243081. 1197. Get ready to entertain on the large covered porch. Amenities include pools, gyms & golf! MLS#2243082. 1197. Popular white cabinets trough out, granite kitchen countertop, upgraded luxury vinyl plank on the 1st floor, stylish gray paint throughout, $3,000 with preferred lender and closing attorney towards closing cost. Sept/Oct move in MLS#2243230. 2983. You’ll find ample space w/ a large master suite & grand dining room perfect for special gatherings. MLS#2243054. 1197. You’ll find ample space w/ a large master suite & grand dining room perfect for special gatherings. MLS#2243057. 1197. Fall in love with your maintenance free yard and outdoor amenities that include a community garden & pond! MLS#2243061. 1197. Flowers Plantation - Litchfield floorplan, backing up to wooded area, 3 bed 2.5bath townhome in Flowers plantation MLS#2243231. 2983. These statistics are updated daily from the Triangle Multiple Listing Services, Inc. For further analysis or to obtain statistics not shown below please call Highgarden Real Estate at 919-634-6533 and speak with one of our real estate consultants.